So, I have good news and bad news. The good news? I'm not dead! And I have a podcast! The bad news? Well, annaish is over. Fin. The end. No more blog posts sorta deal. It's been so hard letting annaish go but it's time, and I can explain. The long reason: As you all know, I don't have a consistent blogging schedule anymore. Meaning: I blogged whenever I had a great idea or simply time to write something. And that worked!... for a few months. I would write four posts in a month but then disappear with no explanation. And I felt guilty about my disappearances. I left annaish weeks upon weeks because of my mental health, schoolwork, and/or I was procrastinating for no reason. During my disappearances, I would lose page views/followers, miss new book releases, and blog posts from my favorite bloggers. And, I KNOW, bloggers shouldn't ever check their page views (it's basically a sin) but I couldn't help it. I wanted to make sure my posts were reaching other bookaholics. But my posts weren't and I was upset. When I came back from my disappearances, I saw more and more younger bloggers joining the book blogger community and I was so happy (still am!!! the more bloggers and merrier!!)! But I also was really really tired, and felt really really old (like the old but hip grandma of book bloggers u know). Over these last few years, I found out the biggest secret about blogging: IT'S HARD. Keeping up a blog and an internet personality is difficult. Rewarding but difficult. During one of my disappearances, I thought to myself, "geez... i've haven't written a post on annaish in a while... huh.... i wonder if i'll ever write another blog post again...." Then it hit me, I wouldn't write another blog post on annaish and I was okay that. That moment of realization hit me so hard; I felt so overcome with many emotions. Yet, deep down, I knew that I wasn't quitting annaish, no, I was moving on. The funny thing is younger me thought I would blog FOREVER. I write book reviews, get popular, run ads on my blog, and it would become my career. For the longest time, I was optimistic about my plan and everything was okay. But, now, things have changed for the better. 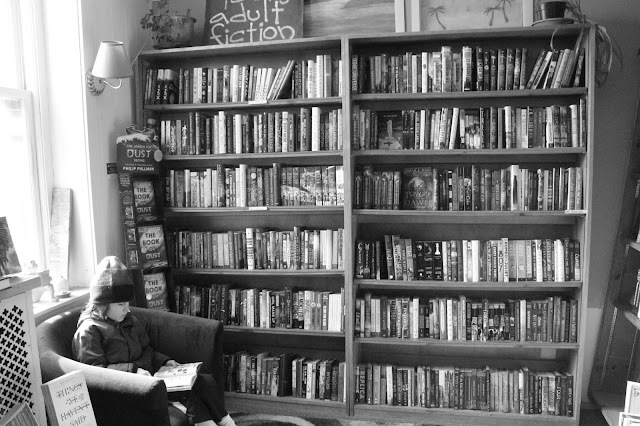 I'm still creative and I love making things, which is why I created GEN Z READS. See, the thing is, I'll always love young adult books and I'll never shut up about them. Blogging is something in the past for me, but I thought hosting a bookish podcast would be... pretty damn cool. The podcast would help me with my speech skills, let me mess around with audio editing, and I would STILL talk about young adult books. Win, win, and win. So, here's the podcast cover! Isn't it so pretty?! I've been working on GEN Z READS for months now and I'm so excited to finally share it with everyone. The podcast ranges from young adult book reviews to discussions on the classic cliches. The main focus of GEN Z READS is to feature diverse books and discuss their impact on teens. (hence the name "gen z reads"). 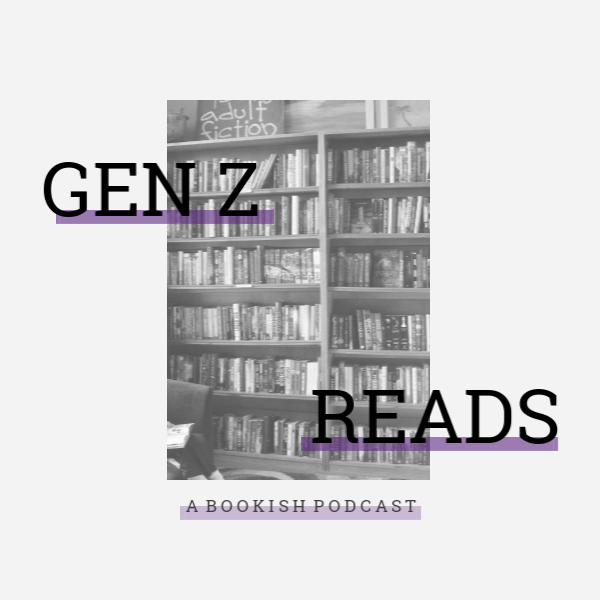 You can listen to GEN Z READS on Soundcloud, RadioPublic, and Spotify (Google Play Podcasts is coming soon!). Episodes come out every Friday, so episode one is already out. I hope you bookaholics enjoy my podcast and continue this online journey with me! Reader, thank you so much for your neverending support. If you commented on all my posts or just started reading my posts yesterday, I still love you very much. Thank you for all the great blogging years. Cheers to 2019! Yay! I'm so very proud of you. The new podcast is awesome. wow, I can't wait to hear your new podcast! Congrats on the podcast, Anna! Although I will miss seeing you around the blogsophere, this is still a brilliant opportunity. Ahhhhhhhhhh so happy for you finding your creative way!! Ahh Anna! I'm sad to see you go and going to miss your post in this space, but I'm also happy that you find other ways as your creative outlet, and I can't wait to listen to the podcast! Awwww, Anna! I know I messaged you personally, but I still wanted to comment. Obviously, I will miss Annaish so so so much. But I am very excited for your podcast. I've been listening to some recently and I haven't found a good bookish one yet, so yours will be perfect. I am so excited and happy for you! I can't wait to listen.